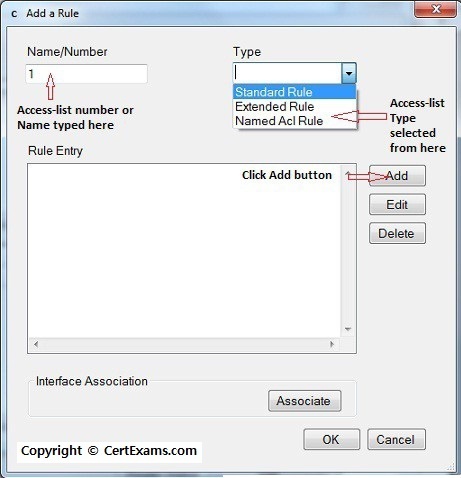 Description: Create an access-list and configure the same according to a given set of rules. 2. Create an IP access-list to permit traffic from address 192.168.10.5, and deny all other traffic. Use 1 as IP access-list number. 3. Create an access-list 2 that blocks only the single IP address 196.145.25.5. 4. 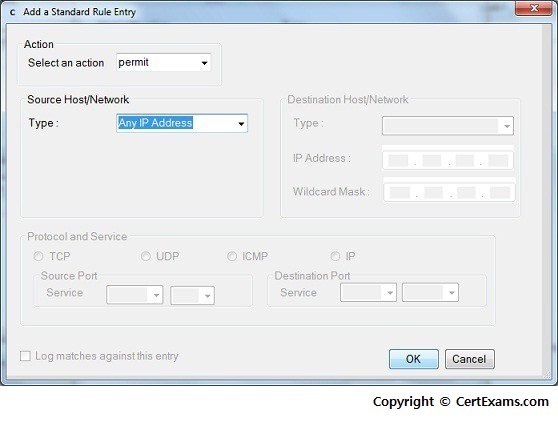 Type the command used for permitting packets from any IP Address. 1. Create an IP access-list to permit traffic from address 192.168.10.5, and deny all other traffic. Use 1 as IP access-list number. Select device R1 from Select Device drop down list. 2. 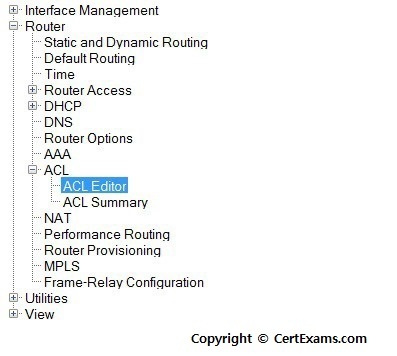 Click Configure > Router > ACL > ACL Editor. 3. 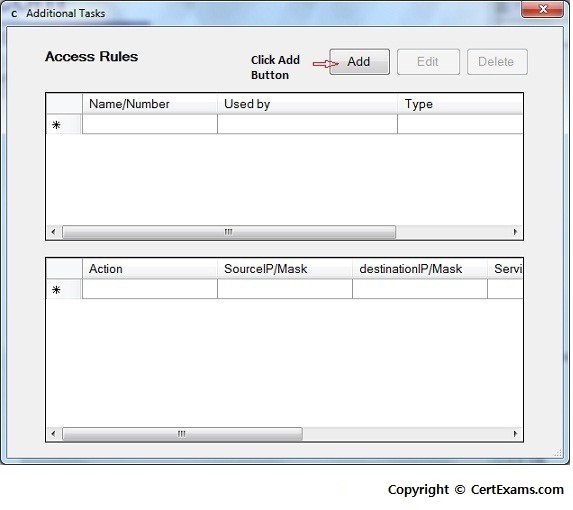 Additional Task Screen appears with Access Rules properties click Add button. 7. 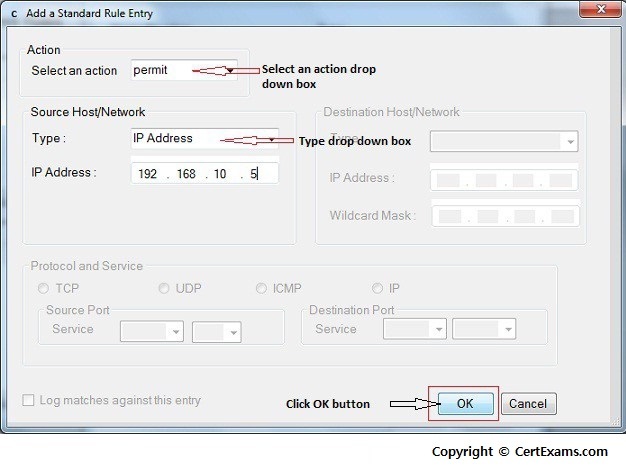 In Add a Standard Rule entry select deny from select an action drop down box in Source Host/Network select IP address from Type drop down box and enter the ip address 196.145.25.5 in the IP address field and click OK button. Follow step 5. 8. In Add a Rule window again click Add button. down box and click OK button.